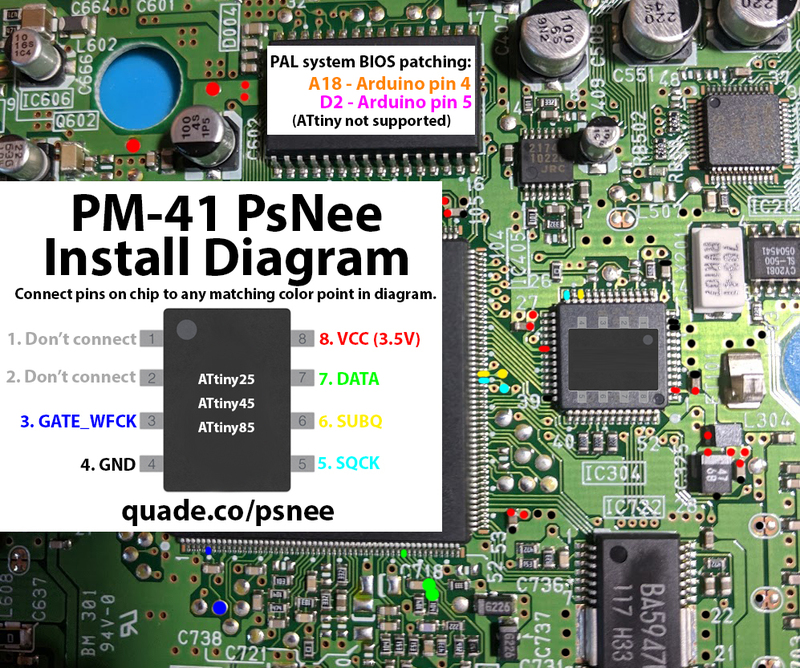 If you have a PAL PSone system then you’ll need to use an Arduino board and connect A18 and D2. Otherwise just ignore A18 and D2. 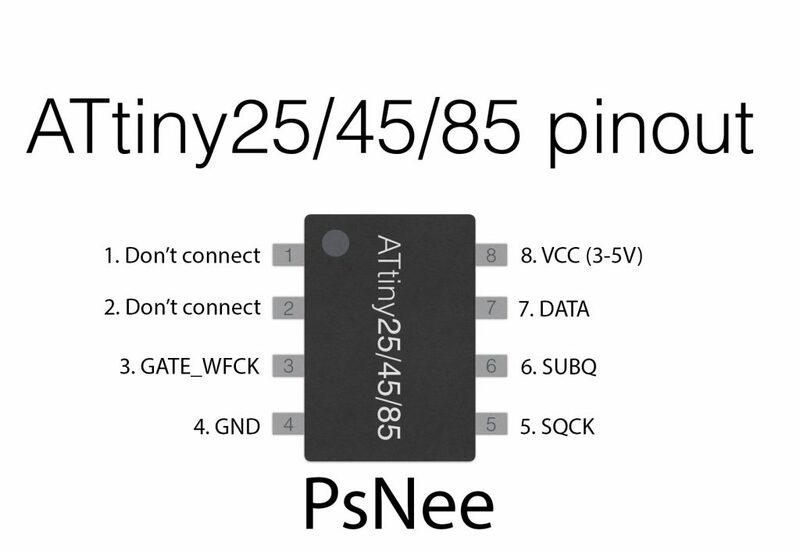 If you are using an ATtinyX5, or have a SCPH-101, then ignore pins A18 and D2. For the wires that go into the holes, or vias, of the board: it’s easiest to stick a small 30 AWG wire through the hole, then heat the wire and hole while adding solder. For DATA, be careful not to bridge solder to a nearby component, or knock the capacitor off the board. I’m thinking about programming a PsNee, but I do not own an Arduino Uno or the wires and breakout board. But I do have a TL866 programmer. Has anybody verified programming 25/45/85 on it? Yes, a TL866 programmer will work. Just import the hex file (without the bootloader) from the Arduino build output directory, and set the correct fuses (all the defaults, except disable the CLKDIV fuse).